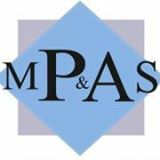 Each year, Michigan Protection and Advocacy Service (MPAS) seeks input regarding issues that affect the lives of people with disabilities in Michigan. This year we will also be reevaluating our priorities and adjusting them as necessary to achieve desired outcomes. Thank you for your assistance in our efforts to design advocacy services that will enable people with disabilities to live independent, productive lives as fully included members of the community. If you would like to mail or fax the survey you can fax to (517) 487- 0827 or mail to Michigan Protection & Advocacy Service, Inc., 4095 Legacy Pkwy, Ste. 500 Lansing, MI 48911. * 1. To assure that we are reaching a wide cross section of the community, please answer the following. This section is strictly voluntary. There is NO requirement to complete this section. PLEASE DO NOT SIGN YOUR NAME TO THIS SURVEY. * 3. Check all that apply.